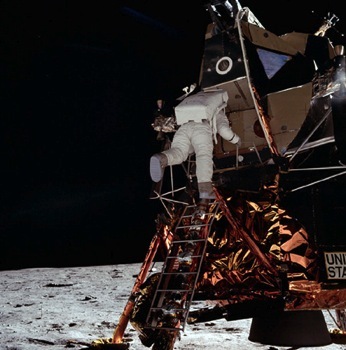 July 20th a good day for a Moon landing! Today, July 20, 1969, America achieved something amazing, astronaut Neil Armstrong became the first man to walk on the surface of the Moon. 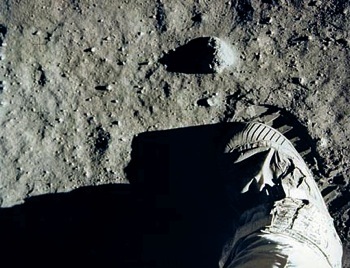 And below is a marvellous photograph of his footprint in the lunar dust. So much for all of the idiots who say that this monumental event was staged! Sadly as far as this Cat is aware, neither the people who came up with the peculiar idea that the lunar landing was a hoax or just a publicity stunt, nor the daft people who have blindly repeated this nonsense over the years have achieved anything on this day July 20th or indeed at any day in the past. Of course before any humans ever went into space animals had been there already. 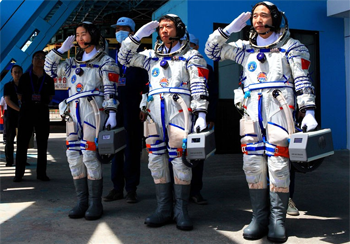 There is no truth in the rumour that any of these animal pioneers from the very beginning of spaceflight there volunteers. On the contrary animals had no choice in the matter whatsoever they were simply bundled up and tied down in the cockpits of various rockets destined for the heavens. 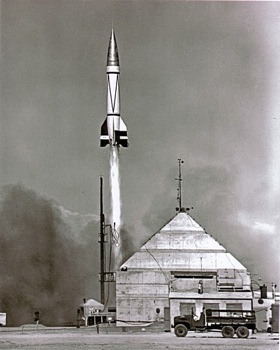 The first animal in space was a rhesus monkey called Albert I, he was blasted off from White Sands, New Mexico on June 11, 1948, in a V-2 Blossom rocket. Of course if you look at the V-2 Blossom rocket closely, you’ll note that it is actually the same as the ones used to ‘bomb’ London towards the end of the war. Now I am not suggesting that these were exactly the same rockets that made such an impact on London or that the ones that hit London were a result of what is called ‘friendly fire.’ But I am suggesting that the Nazi technology which vanished from Germany at the end of the war turned up in New Mexico along with the scientists who had planned to use these V-2 rockets to completely re-arrange the landscape of London! For those of you who like Cats, the nicest people in the world as far as I am concerned, I thought I would mention that the first Cat to be launched into space, very much against his will, was called Felix. Felix made a brief but successful flight on October 18, 1963 and Felix happily was landed successfully after a parachute descent. Sadly the rocket which was carrying the second Cat to be launched into space by the French, just six days, later ran into difficulties that prevented recovery. No one knows what happened to the Cat sadly. 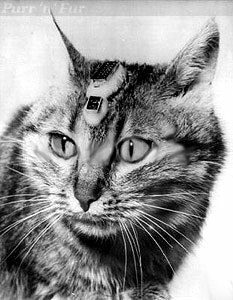 All wasn’t so bad for the SpaceCats though because the French government had quite a few Cats in intensive training for possible space flight in 1963. Unfortunately ten had to sacked or as the French government put it ‘decommissioned’ the official reason rather embarrassing is that under the strict training regime the Cats put on too much weight to be able to fit into the spacecraft. I have to say that I admire those ten almost as much as Felix don’t you? This episode also reinforces the idea that the Cats used in the french space programme were starts from the streets of Paris and if they were I am sure they made the most of their good fortune.